When drawing eyebrows or just filling in, you want them to look great all day. This guide is about eyebrow pencil usage tips and tricks. I wasn't blessed with thick eyebrows so I have to fill in the sparse areas with an eyebrow pencil. The problem I had was, at the end of the day, most of the eyebrow pencil had worn off. I solved this by spraying a small amount of hairspray on my finger and then dabbing it on my eyebrows quickly before it dried. Now I have eyebrows all day long! When I apply my eyebrow pencil in the mornings it is almost gone by noon. Please tell me what I am doing wrong. I started having this problem in the summer. I never had it in the winter time. I am not sure if the summer heat makes it disappear or maybe I need to buy a more quality pencil. I normally just buy the pencil that you sharpen from the dollar store. Is it better to use the eyebrow pencil (the one you have to sharpen) or the automatic pencil that never needs sharpening (the one that screws out when you turn it on one end)? Please help. Have you tried to dust powder over the brow pencil after you apply it? Use either face powder, which will lighten the color, or use a powdered eye shadow that is close to the color of the brow pencil. My advice, throw the pencil away or use it for a liner. brush, been using it for years and love it. Use liner and apply translucent powder on top. Reapply brow liner. It doesn't matter what type of liner; some like the convenience of not having to sharpen a pencil. I have been drawing on my eyebrows for 30 years now, and the best method I have found is to use an eyebrow pencil with small tiny strokes, then blend with an old toothbrush. Then go over that with brush on powdered eyebrow makeup, again using small strokes to keep the look as natural as possible. Blend again with the toothbrush and don't be afraid to use a little force as this will keep it real looking. If you find they look too severe you can do some additional blending with a light touch of a Q-tip. When you have achieved your desired look dust them with face powder. Try to go a shade lighter than your hair color, and don't be afraid to buy quality products, they last a long time and beautiful eyebrows are your face's best asset. I used to have that problem also! It was either from touching my face too often or excess oil. For the past few years Maybeline brush on color for eyebrows has worked wonders. Use any brand of eye drops on the brush (1drop is good enough). Eye drops also work wonders making sure your eye makeup stay on for hours. Face powder helps seal it all in. Take my advice...I am Asian and this REALLY works! Try Bare Escentuals eye brown powder with their Weather Everything Sealer. Lasts all day and into the night! I prefer eyebrow powder. It gives a much more natural effect. I believe Maybelline makes that product. Do they make them in a waterproof pencil, like some eyeliners? I have to use waterproof eyeliner pencils as the oils on my eyelids wash away most liners in a few hours. I don't have a suggestion for you, but a request: could you (or someone) please tell me what brand of automatic pencil have you used, and where you bought it? I used to use Revlon pencils but can't find them any more; their automatic pencils seem to be the best quality. How about use a clear eyebrow setter over your powder. It looks like mascara, but it's clear and it's supposed to keep your eyebrows in place. I'm sorry, but I can't remember the brand I used, but it's a drugstore item and several cosmetic companies make it. I use old mascara on my brows and then a small brush to get rid of the excess. You can use waterproof mascara. Also I would like to know which waterproof eyeliner you all like. I went to buy a pencil sharpener for my eyebrow pencil and the sales lady advised using an automatic brow pencil that doesn't requires sharpening. Automatic eyebrow pencils don't seem to get really sharp for me. Which do you prefer? I too prefer the types that use a sharpener. The automatic ones just don't get as sharp or stay sharp for me and don't seem to last as long. They are also more expensive usually. I can't stand the pencils that need a sharpener. I have such a hard time sharpening the pencils--they don't sharpen evenly. One side will have wood all the way to the tip while the other side the pencil "lead" will be exposed. Or I will sharpen a pencil well, then the tip breaks off--start all over again. I use the automatic pencils. Much less hassle for me. Some have a tiny sharpener in the end, but sharpness isn't a big issue for me as I don't need the pencil to be ultra sharp. I like the automatic ones because they are made of a softer material and seem to go on easier. If I feel I need to sharpen my pencil I use a square of toilet paper and lay the pencil on the side and gently make a sharper tip. Automatic ones need to be sharpened as well, that is why there is a little pull out sharpener on the end. I don't like them because they are too soft and that means smudges and they don't stay on as well. When you buy a sharpener, buy a good one. The .99 ones eat up your pencil....the best I have found is a Revlon one that has a hole for both large and small pencils. I have had it for years and still very sharp. You get what you pay for. I don't like the automatic pencils at all. It's like drawing on your face with a crayon! I don't use an eyebrow pencil. I use a powder and an angled brush. It looks so much more natural. Once you get the hang of using it, you will never go back to the pencils. I'm trying to find an eyebrow pencil, gel, or mascara and I can't seem to get one that matches my eyebrow colour. I have ash blonde hair, but it's not dark. It's light ash blonde. The reason I want an eyebrow colour is that my eyebrows turn white in the sunlight and are actually invisible. With the brow pencil I have, it's okay in some unnatural lighting, but as soon as I'm in bad lighting the hairs turn invisible and all you can see is the strawberry blonde pencil markings underneath. The problem with the brow products I try are that they're always too red. All of them have red undertones and are meant for strawberry blondes, but I need greyish undertones. I was wondering if anyone had the same experience and what brow products they used. Thanks! Mary Kay makes a great product, ChattyCatty. Like you, I am averse to red undertones, found this years ago and have used it ever since. 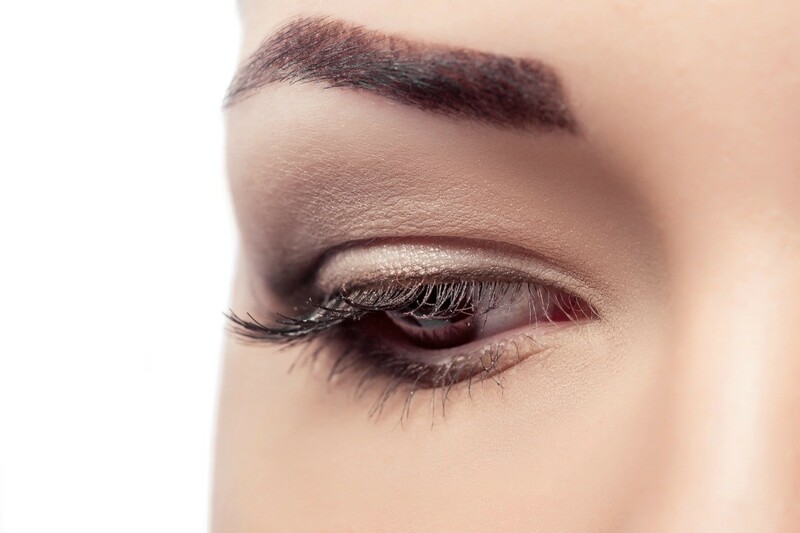 This is a guide about using eyebrow stencils. 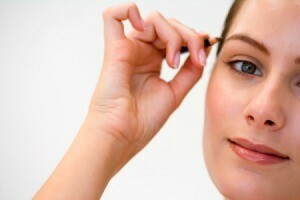 Having beautifully shaped eyebrows helps accentuate your eyes.